This is Day 2 for #introtopoetry. Day two is Face, and we are supposed to use Alliteration . His face finds the forest as home for fourteen years! P.S: While I tried to Alliterate, I also wanted a story and tried to bring the epic Ramamyana! The King Dasharata’s face felt like he lost everything when he had to send his son to the Forest. 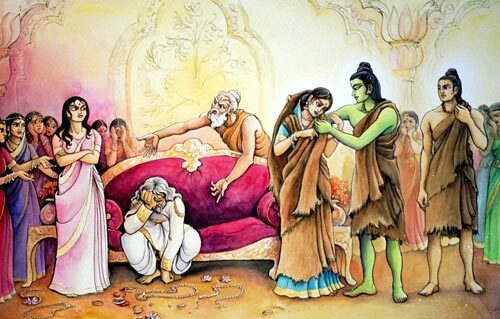 The Queen Kaikeyi just wanting her son to be the heir and the Rama making the forest as his home for 14 years. The Day 1 was a Haiku poem.